A selection of design led workplace furniture will be presented on the company’s stand (DL9) at this year’s 100% Design event in Olympia, London. The collection which embraces a variety of chairs, soft seating and tables has been crafted by Knightsbridge’s in house design and development team working alongside renowned designers and industry professionals. Intended to enhance breakout and reception areas, social rooms and meeting rooms as well as conference areas, the pieces incorporate ergonomic features promoting workplace wellbeing. 100% Design is the largest design trade event for industry professionals in the UK first staged in 1995 which features talk programmes, bespoke installations and showcases world-leading brands. 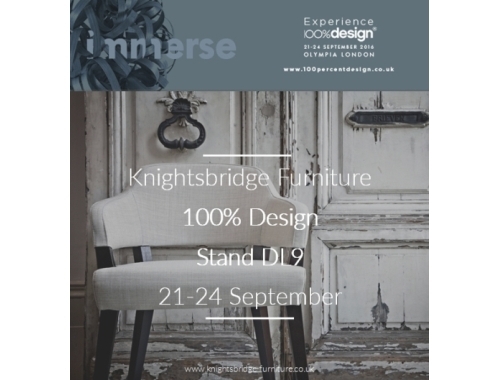 For more information on the complete Knightsbridge collection visit www.knightsbridge-furniture.co.uk and further information on 100% Design view www.100percentdesign.co.uk.